Fred has admitted that he feels annoyed at Jose Mourinho for costing him his place in the Brazilian national team. The Portuguese tactician hasn’t been a fan of selecting his £52 million-rated summer signing on a regular basis. The former Shakhtar Donetsk man has struggled to fit into the first-team plans at Manchester United, having made just 7 Premier League appearances so far this season. Less game-time, coupled with the fact that he hasn’t been all that impressive when he has been on the pitch, has led to the midfielder losing his place in the latest Brazilian squad named by Tite, for their upcoming friendly games against Uruguay and Cameroon. Now, the 25-year-old has reacted to this update, by expressing his annoyance towards Mourinho’s selection criteria. The player stated (via Mirror): “I’ve played very little at United, so it’s normal for Professor Tite not to be able to evaluate me, even though I’ve worked hard with him before. 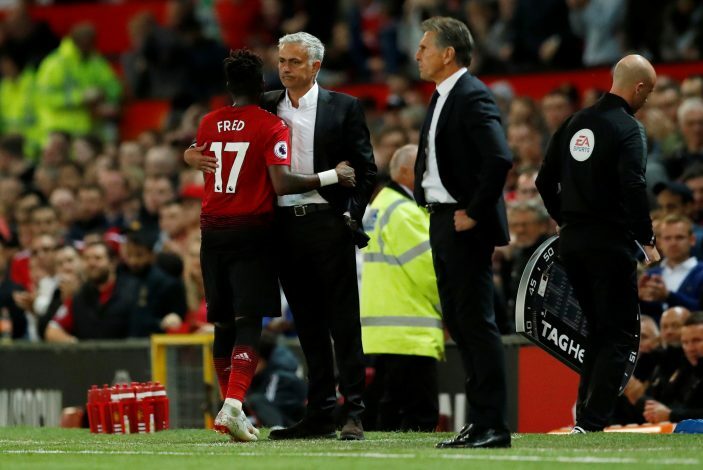 Speaking about his life in England so far, Fred further added: “It’s been a bit of a difficult start for me at United because I have not been ­playing so much. I had a lot of games in Shakhtar, but it’s a little bit different here. It’s normal, of course, a process of adaptation to a different league. “Although I’ve been to Europe before, now I am in a different country and I have to go through a new process of ­settling in. But today I see myself much better and I hope that my football will be 100 per cent soon.